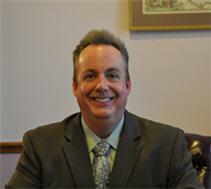 John is licensed in and for the State of Florida and admitted to practice in all Florida State courts since 1991. In addition to all Florida State courts, he is admitted to practice in the United States Supreme Court, the United States District Court for the Middle District of Florida, United States Tax Court, US Court of Appeals for the 11th Circuit, United States Court of Federal Claims, and the United States Court of Appeals for the Armed Forces. John has an extensive background in areas of Family Law, including litigation, settlements, and appeals. He is a member of the Clearwater Bar Association as well as having been admitted to the Academy of Florida Trial Lawyers and the Association of Trial Lawyers of America. He has lectured on various issues involving Family Law and Civil Procedure at the University of South Florida, Pasco-Hernando Community College, and for the Dads Assisting Dads Support Group in Pinellas County. He is past member of the Town of Belleair Building Board of Adjustment and Appeals. John has lived in Clearwater his entire life. He is a graduate of Clearwater Largo Christian High School and St. Petersburg Junior College and received his AA from St. Petersburg Junior College, his BA in Political Science from The University of South Florida, and his juris doctorate from Stetson University College of Law.